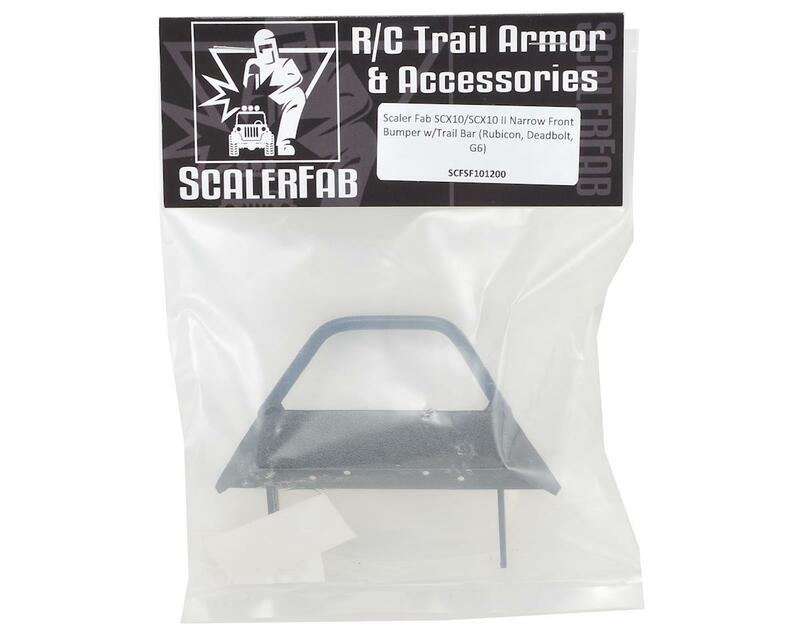 The ScalerFab SCX10 Narrow Front Bumper is a handmade bumper option for your Rubicon, Deadbolt or G6 equipped Axial SCX10 and SCX10 II. This steel bumper gives your rig custom designed trail bar bumper styling, and the high quality construction you will only find in a handmade in the USA product. 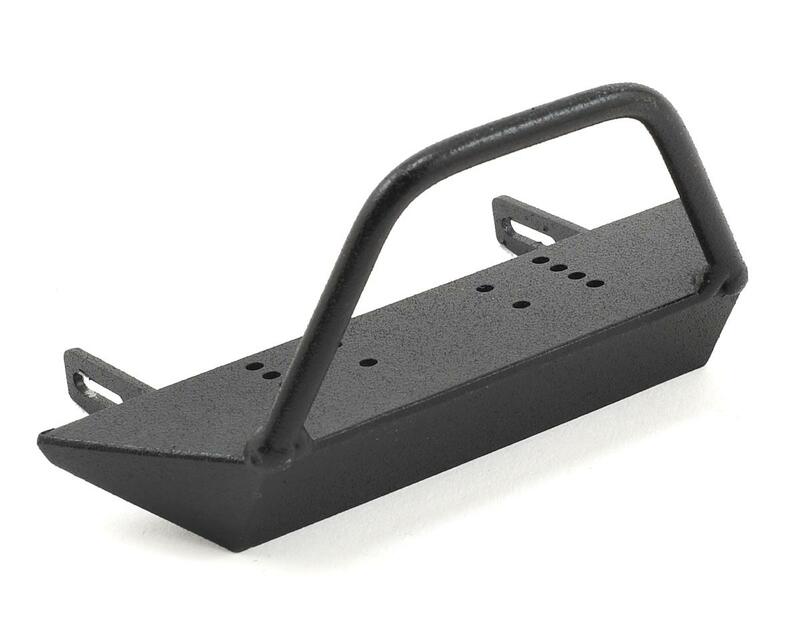 The bumper features a 115mm wide base with a 40mm tall, 80mm wide trail bar that was developed for the Axial Jeep/Deadbolt bodies, but can also be used in a variety of custom applications. The winch plate has been drilled to mount the RC4WD Warn 9.5cti or 8274 winches, SSD Ox Power winch or 3Racing Winch without any modification. Combine this with a protective Rustoleum truck bed coating and you have an incredibly scale, yet capable front bumper option that will look great on the front your rig. Scalerfab saved my SCX10 II! After easily installing the gusseted version in April and scuffing it up all pretty, I went to Axialfest 2018. While out on D Trail, my rig rolled off a 4-5ft cliff section and nose-dived straight onto hard rock. The bumper took the full impact and completely absorbed all of the shock, leaving only a small scuff a few thousandths deep on the front corner. There was absolutely nothing wrong with my rig or my winch! The bumper's mounting points were still solid, and all the welds remained unaffected. I highly recommend this bumper with the added steel gussets for any scale Jeep build.